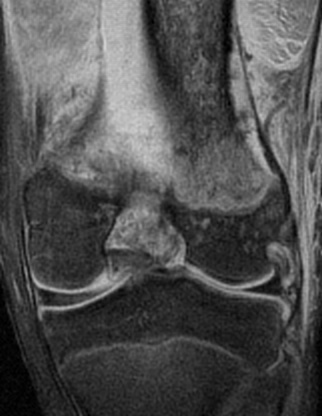 There is diffuse soft tissue edema around the proximal femur. 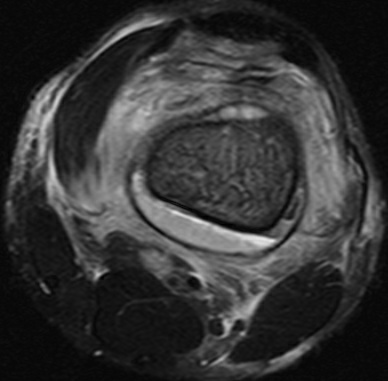 Abnormal signal in the femoral metaphyses is consistent with osteomyelitis. Fluid collection is positioned deep to the periosteum. Subperiosteal hematoma, which would demonstrate hyperintense signal on T1 weighted images.